Smoothies are great to have throughout the year. But they are specially fun during the summer. Making your own smoothies is one of the best ways to keep your diet on the right track while making sure your body gets the nutrition it needs. 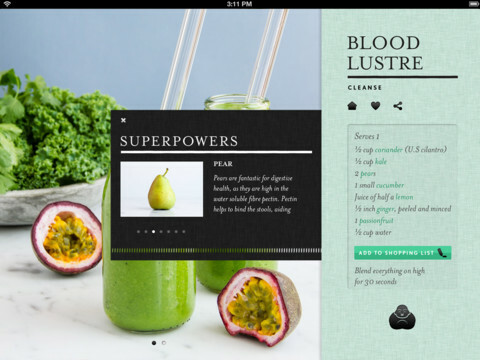 Green Smoothies by Ascension Kitchen is a cool application that brings 30 nutritious recipes to your tablet. These smoothies help you energize your body, get rid of inflammation, and put your body on a faster track to recovery. The ingredients are not obscure, so you can get your hands on them easily. The app includes health benefits for adding greens to your smoothies. It has tips and tricks on how to make green smoothies. 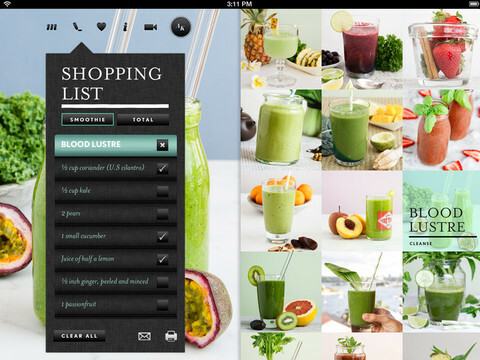 Green Smoothies lets you share your favorite recipes and save them. Green Smoothies has dairy free recipes to help you feel better and lose weight. We would love for the developers to add more recipes to the app. The recipes included could give you new ideas and inspire you to make your own healthy smoothies though.